Ultra violent and desperate to shock, but this is far too boring and repetitive a game to either love or hate. Hatred isn't fun, interesting, or titillating enough to command your time or attention. An emptyl, sense-dulling twin-stick shooter that is as monotonous as its black-and-white color palette. There's nothing really special about Hatred. It's a twin-stick shooter. It has guns in it. It has objectives. Most of the time those objectives involve acting like a menace to society or blowing stuff up. It doesn't have anything new to bring to the table, or anything interesting to say about the genre. You can go back to yelling at it now if you want. Hatred is a game that basks in controversy for the sake of controversy, while doing nothing to keep the curious interested in seeing it through. Hatred fails in every way. It fails to be a fun, entertaining game. It fails to be a technically competent release. And most of all, it fails to be a controversial, shocking experience. The most enjoyable part of Hatred is when the protagonist grunts "try harder" at his wailing victims, only because it allows me to grunt back, "You first." With boring gameplay and twitchy controls, an impressive art style and much-publicized controversy cannot hide the tedious shooter underneath 'Hatred's veneer. At its worst, it's the gaming equivalent of a drunkard shouting abuse from a park bench. At its best … well, the drunkard has leapt up and now he's wielding a plastic knife. Rage against political correctness if you like, but don't support this tired game as part of your ideology – there are so many better uses of your spare time. Hatred is a subpar twin stick shooter whose only claim to fame is its Adults Only rating from the ESRB. The novelty of the rating and some good destruction tech does not make up for the coated-in-molasses control, idiotic AI, and feeling of unease the game puts forth. Worse yet, the game is boring, repetitive, and simply not fun. Save your money for something with more substance. The adult rated Hatred will most likely not see the light of day on consoles, but it certainly has some addicting qualities to it and a little bit of strategy. The difficulty is certainly up there as you will find yourself overwhelmed by the police if you are not careful. If you're looking for a certain thrill to accompany random acts of mass slaughter, you'll find it in plenty of other games on the market today. Controversy can only carry a game so far, before it trips itself up. It's a pretty competent action game with really great visuals, but marred by quite a few flaws. If you don't like playing with keyboard and mouse, then steer clear, but if you don't mind putting your controller aside, and you enjoy the genre, it can be worth quite a few hours of your time. 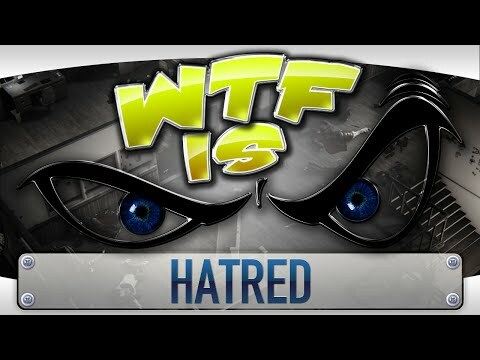 I didn't hate Hatred, but I didn't really love it either. Yet, it's a pretty promising debut for a new indie team. [U]nless you're a kid who thinks this sort of thing is edgy and cool – hey, we were all young and dumb once – your $22 is better spent elsewhere. With an unimaginative outset, a try-too-hard look and controls that are almost unbearable, not even the most hardened tabloid newspaper should get offended by Hatred.